This recipe is part of my “Stop Buying, Start Making” series, which includes foods and household products (and growing green onions for free year-round). As I experiment in the future, what is your favorite salad dressing? The directions below to say to mix in a Magic Bullet. If you don’t have one, I suggest mixing a double or triple batch in a regular-size blender. Then freeze extra in 1/4 C. servings or 1/2 C. servings (depending whether you’re freezing for just you or a family). I regularly make a multiple batch serving and freeze the extra. Thaw in the fridge and give it a good shake before using. 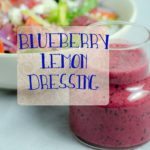 Homemade blueberry-lemon dressing. Delicious and easy. 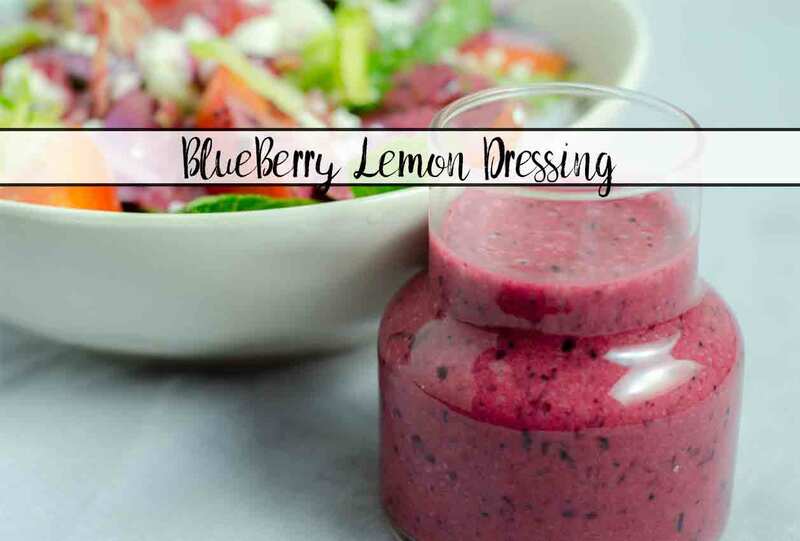 Mix blueberries, lemon juice, olive oil, & honey in Magic Bullet until pureed. Taste-test and decide if you want to add Splenda. (I usually add the full tablespoon). Add a dash of salt and pepper. Blend. Add approximately 1 & 1/2 tsp. poppy seeds, if desired. Note: if you don’t have a Magic Bullet, I recommend making a double or trip batch of dressing in regular blender. Then freeze whatever won’t be used in next 2-3 days. I freeze it in little 1/4 C. containers, then I have dressing for a couple of weeks!